If you're a beginner with false lashes like I am, I would highly recommend investing in the eyelash applicator tool. It makes it some much easier! 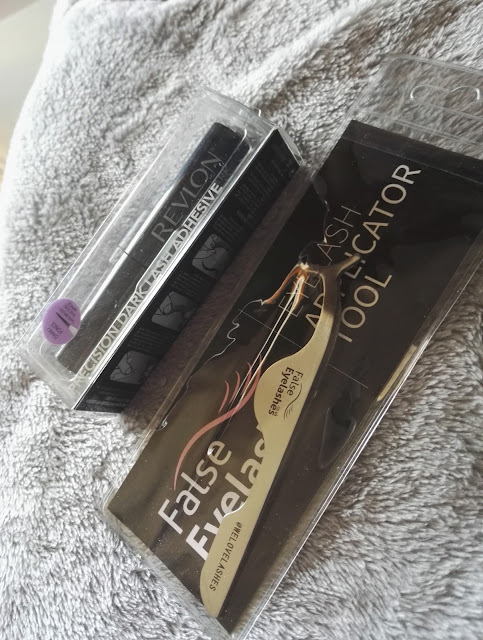 I suppose you can use tweezers as well, but as the tool is specifically designed for this purpose it's less likely to damage the lashes, and it's also easier to grip them with it. 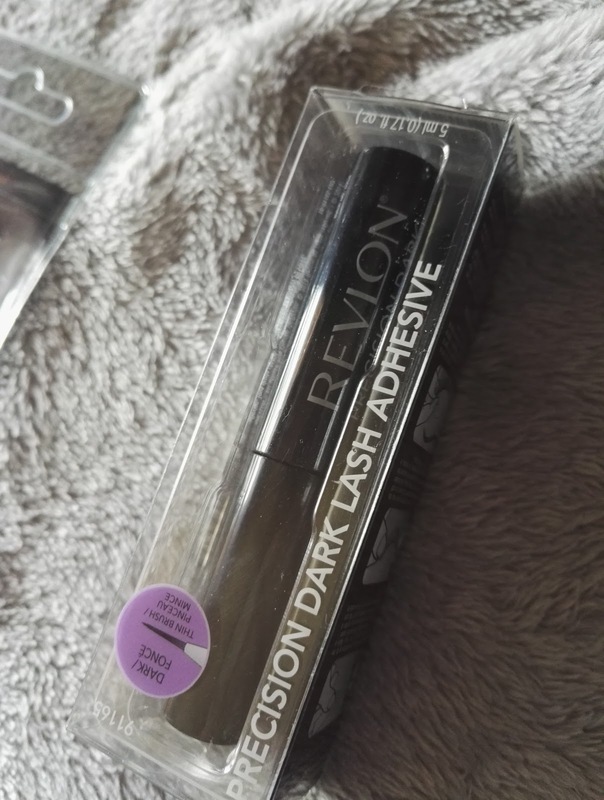 Another thing that made a big difference for me was the Revlon adhesive. 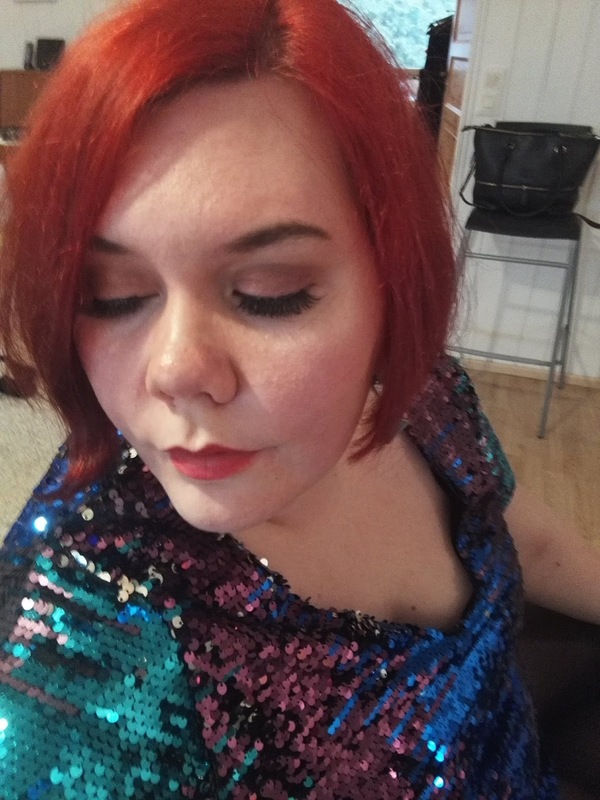 I always wear black eyeliner with false lashes and as the adhesive is dark, it blends in perfectly with the eyeliner. 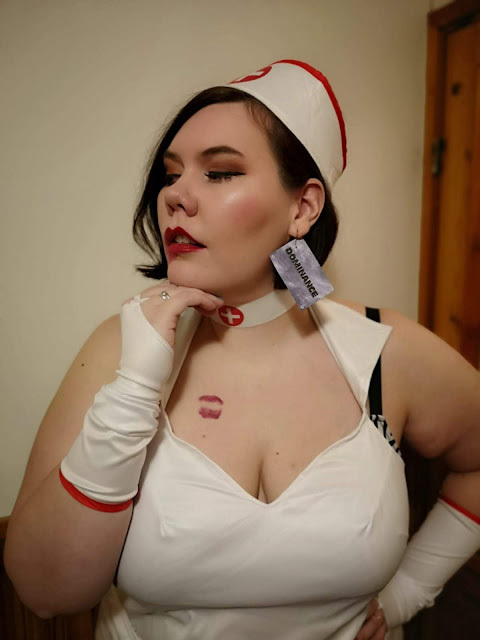 So even if you put on a bit too much or are a bit sloppy, no-one can tell! One thing I would mention about the adhesive is the fact that all the lashes I tried with it really stayed on perfectly the whole day. I would definitely recommend this. After removing the lashes there were some traces of the adhesive on my eyelids, and it took a bit of work to remove it. However, it's not that big of a deal and it does come off with regular make-up remover. I also want to mention that I have sensitive eyes and this product did not cause any irritation, which is always a huge plus. 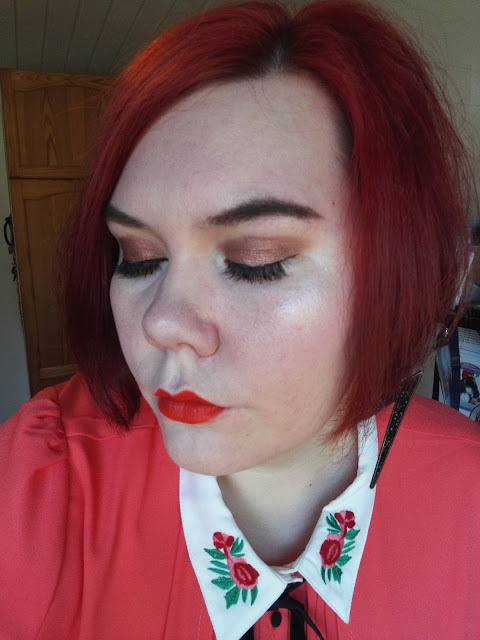 The second pair I tried were KoKo Lashes in the "Angelic" style. These were probably the most dramatic of the bunch, but nothing too over the top. This is a style I would wear when going out with my friends, or for a date night. 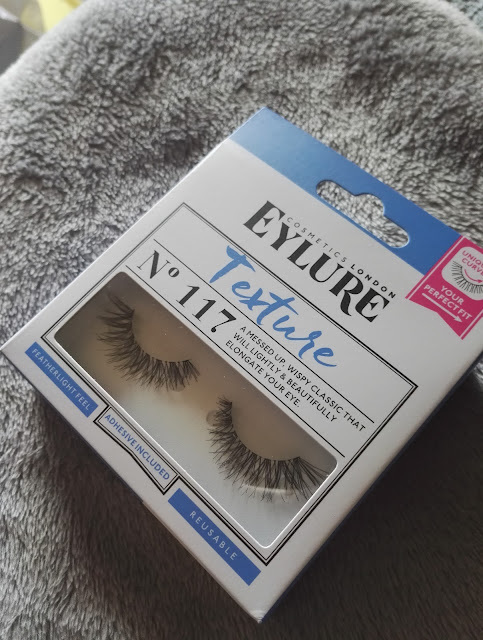 I've used Eylure lashes before, and I've always really liked the quality. This time I tried the Eylure Texture 117 lashes. 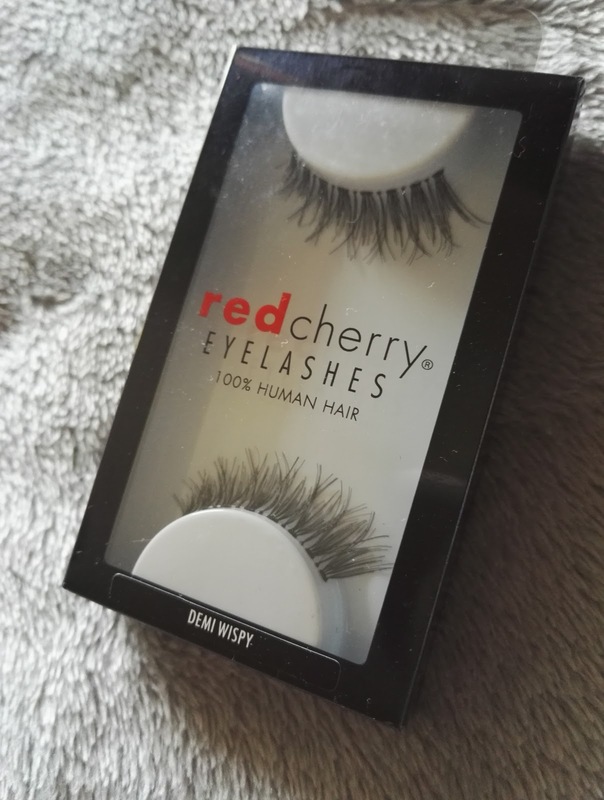 These are great because they blended really seamlessly over my own lashes and they look beautiful and wispy, but really natural. People may not even notice you're wearing falsies when you wear these - in a good way, of course! The final pair I tried were the Red Cherry eyelashes in a demi wispy style. 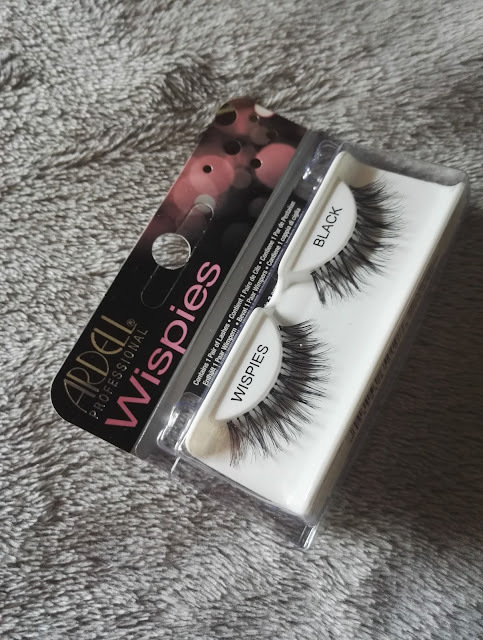 These are again a bit more dramatic – I would say they fall somewhere between the KoKo Angelic lashes and the Ardell Wispies. 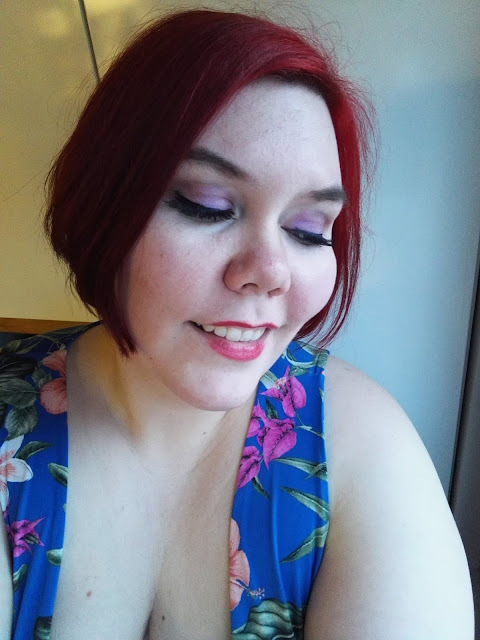 It has been really fun trying on all these lashes, and I think I have improved in the application department quite a bit! 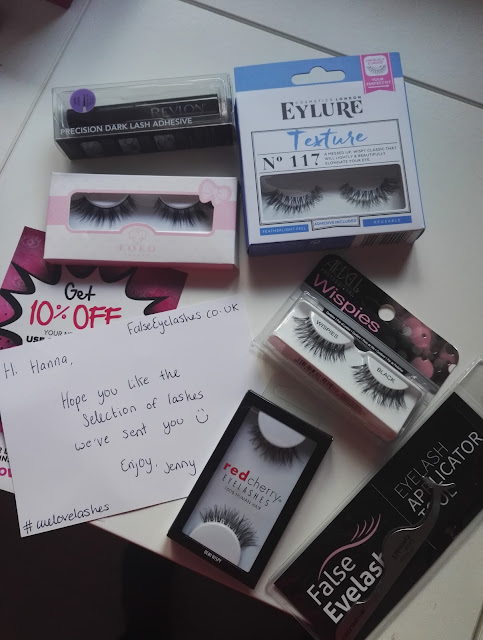 Thank you again to FalseEyelashes.co.uk for giving me the opportunity to review their products. Be sure to check out their website, they have tons of different styles! 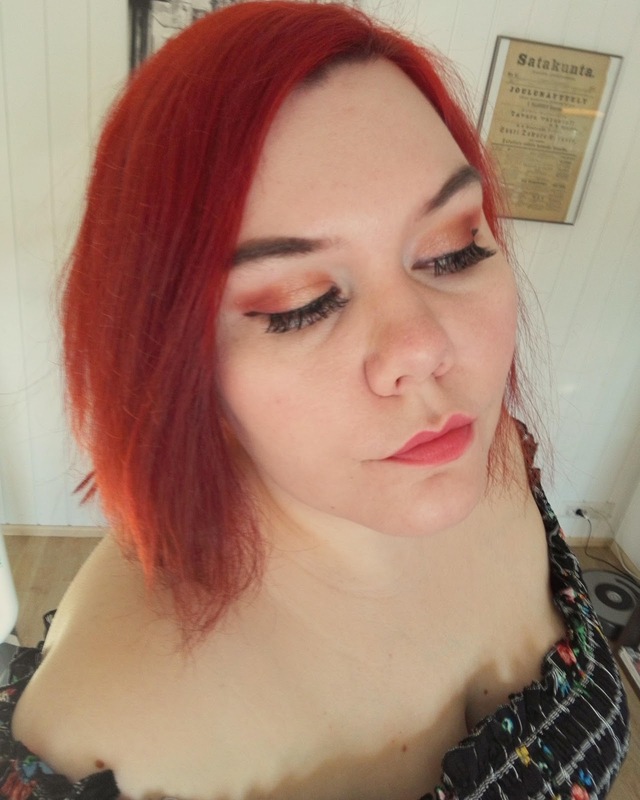 Minuun otettiin yhteyttä https://falseeyelashes.co.uk/ sivustolta ja tiedusteltiin, haluaisinko testata heidän valikoimassaan olevia ripsiä ja kirjoittaa niistä blogiini. Olin juuri päättänyt luopua väliaikaisesti rakkaista ripsenpidennyksistäni budjettisyistä, joten tarjous tuli täydelliseen aikaan! Kirjoitin yllä englanniksi yksityiskohtaisemmin näistä tuotteista, mutta haluan vielä liittää loppuun tiedon toimitusajoista ja maksuista. Eli Suomeen pätevät alla näkyvässä taulukossa esitetyt tiedot. 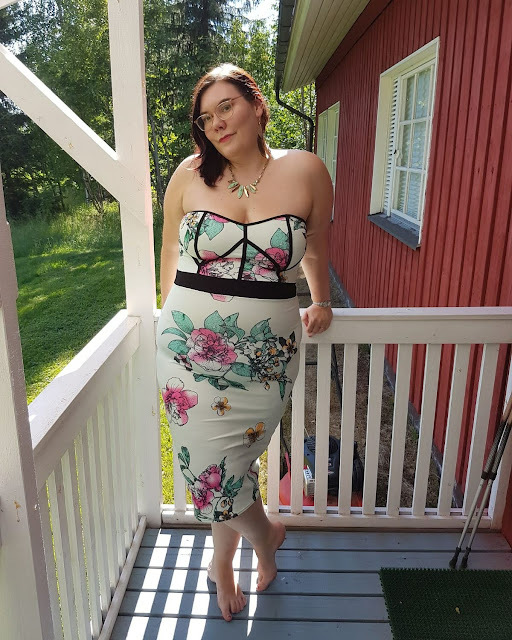 Minulle paketti tuli Royal Mailin kautta eli tuolla halvemmalla vaihtoehdolla, ja toimituksessa meni noin viikko. Ei paha! Paketti tuli ihan normaalisti postilaatikkoon. Kysykää toki kommenteissa, jos jokin jäi vielä ihmetyttämään!